Black flowers with yellow pattern on falls. 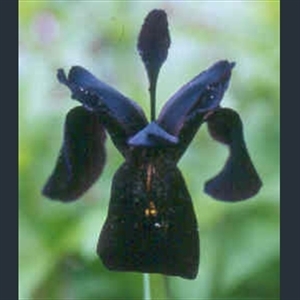 Iris chrysographes black-flowered represents plants vegetatively propagated from a plant with extremely dark flowers, effectively black. 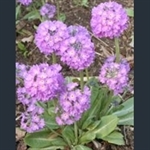 The drumstick Primula; spherical heads of pink-purple flowers. 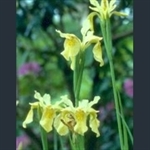 Low shrublet with bright yellow flowers. New silver saxifrage; narrow leaves and long, bronze stems with white flowers. Intensely blue flowers with white throats. Yellow flowers, veined reddish brown.